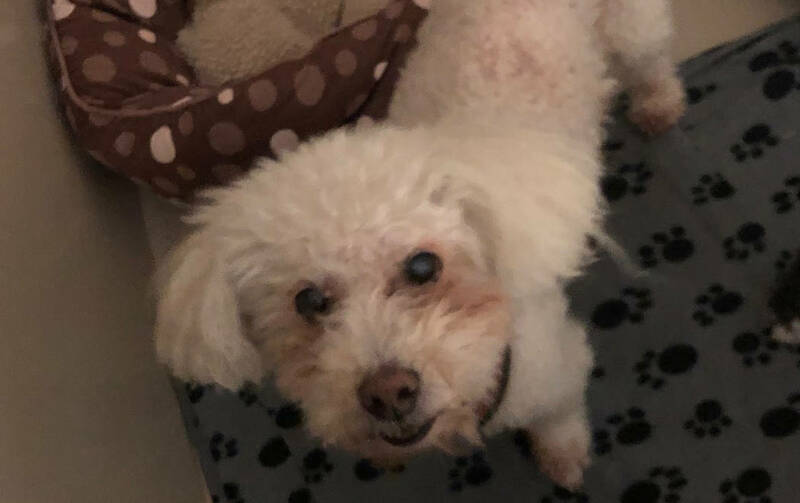 (Boulder City Animal Shelter) Ghost is a 9-year-old Bichon Frise that came to the shelter when his human passed away. Ghost is neutered, vaccinated, housetrained and gets along well with humans and other dogs. For more information, call the Boulder City Animal Shelter at 702-293-9283. Anew Women’s Network, a support group for widows, will hold its February meeting at 1:30 p.m. Saturday, Feb. 9, at Boulder City Library, 701 Adams Blvd. The guest speaker will be Clinton Johnson, benefit service officer for Nevada State Veterans Home in Boulder City. He will speak about benefits for surviving spouses of veterans. A light lunch will be served. The Boulder City Community Alliance is hosting two forums to hear from candidates running for mayor and City Council. The candidates running for mayor will speak at 6:30 p.m. Monday, Feb. 11, at the American Legion Hall, 508 California Ave. They will answer questions provided in advance and will be available to meet with community members one-on-one after the forum. City Council candidates will appear at 6:30 p.m. Monday, Feb. 25, at the American Legion Hall. They will answer questions and will be available to meet with community members after the forum. The alliance is seeking questions for the candidates. Questions for the mayor candidates are due today,, Feb. 7, and those for council candidates are due Feb. 18. Email questions to bccommunityalliance@gmail.com. ■ Harry Potter night, 6 p.m. today, Feb. 7, in the community room. For those 10 and older. There will be trivia, activities and more. ■ Drop-in story time, 10 a.m. Friday, Feb. 8, in the boardroom. For those age 5 and under and their caregivers. ■ Cheap and easy date night, 6 p.m. Friday, Feb. 8, in the community room. For those 16 and older. Learn how to have a fun date night on a budget. ■ Guitars 101, noon Saturday, Feb. 9, in the boardroom. Bring your own guitar to learn how to play basic chords. ■ Youth arts and crafts, 3:30 p.m. Monday, Feb. 11, in the boardroom. ■ Drop in coding, 6 p.m. Monday, Feb. 11, in the boardroom. For those 8 and older. ■ Microfilm class, 6 p.m. Monday, Feb. 11, by the information desk. Learn how to use the new microfilm machine to conduct research. ■ Baby lap-sit story time, 10 a.m. Tuesday, Feb. 12, in the boardroom. For those 24 months old and under and their caregivers. ■ Crochet for a cause, 2:30 p.m. Tuesday, Feb. 12, in the community room. Learn how to make a sleeping mat for the homeless out of plastic bags. ■ Toddler story time, 10 a.m. Wednesday, Feb. 13, in the boardroom. For children 2-3 years old. ■ Chess club, 4 p.m. Wednesday, Feb. 13, in the community room. The Boulder City Chapter of the Retired Public Employees of Nevada will hold its monthly meeting at 11 a.m.Thursday, Feb. 14, at The Homestead at Boulder City, 1401 Medical Park Drive. The guest speaker will be City Manager Al Noyola. After the meeting, members will go to a local restaurant for a no-host lunch. For more information, contact Bernard Paolini at bernardpaolini@cox.net or call 702-294-0636. The guest speaker will be Boulder City Fire Chief Kevin Nicholson. Cost is $23 per person. Reservations must be made by Thursday, Feb. 14, and can be obtained by calling 702-393-1228 or emailing bcgop@yahoo.com. 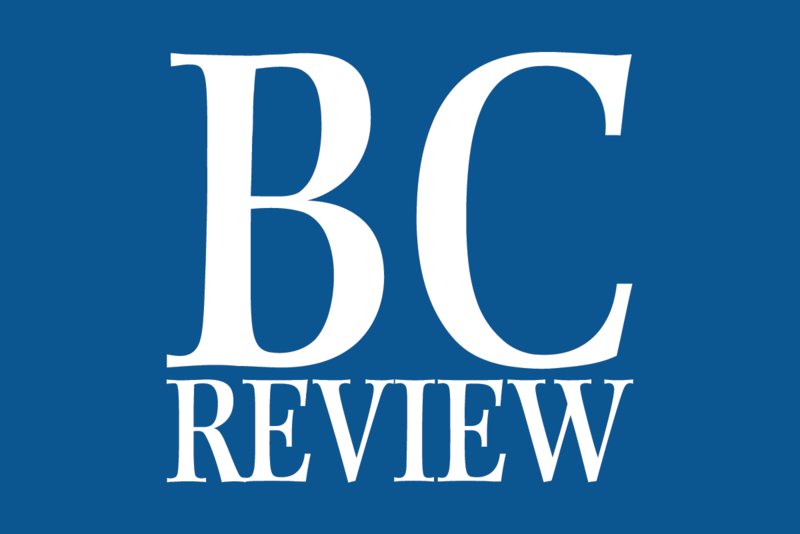 Boulder City Democratic Club will hold its monthly meeting at 6 p.m. Thursday, Feb. 14, in the community room at Boulder City Library, 701 Adams Blvd. Beta Sigma Phi, a philanthropic sorority, will host its third annual fundraising Rosie Roll onFriday, Feb. 22. Nine Boulder City bars and restaurants will participate in the pub crawl-like event. The Rosie Roll will start at 6 p.m. at 2 Wheels, which will serve complimentary appetizers until 7 p.m. Also participating are Backstop Sports Pub, Boulder Dam Brewing Co., The Dillinger Food and Drinkery, Jack’s Place, Maxx’s Food & Drink, Milo’s Cellar & Inn, Southwest Diner and The Tap. Ticket packets may be obtained at the Boulder City Chamber of Commerce, 465 Nevada Way, or from a host. Her work includes interiors, landscapes, portraits and animals. She said that she draws or paints every day and her subjects will usually determine whether she uses a realistic approach or provides the opportunity to offer her perception of the subject. Curtain paints in oils and acrylics, which, like her approach, are “chosen” by the subject. The gallery is inside the Boulder Dam Hotel, 1305 Arizona St., and is open from 10 a.m. to 4 p.m. Monday through Saturday and from 10 a.m. to 3 p.m. Sunday. Admission is free.